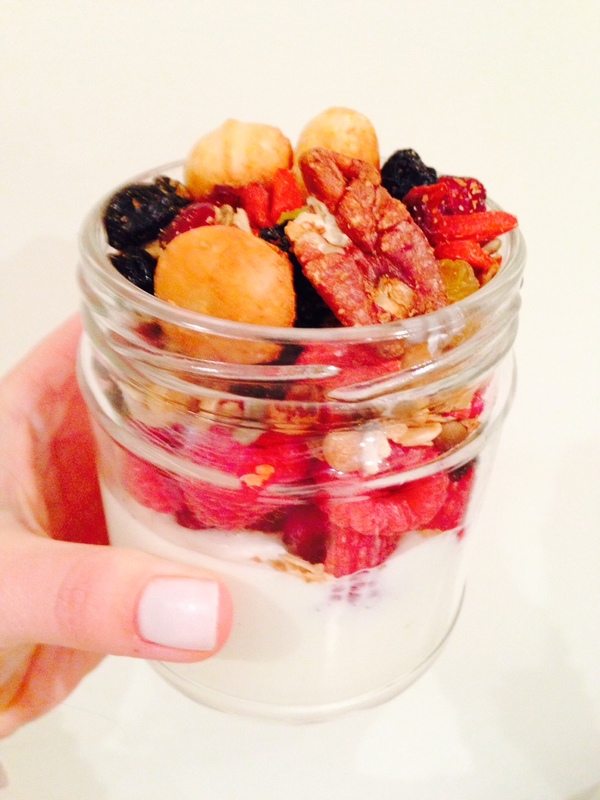 I have a bit of a granola addiction and this recipe is a favourite. 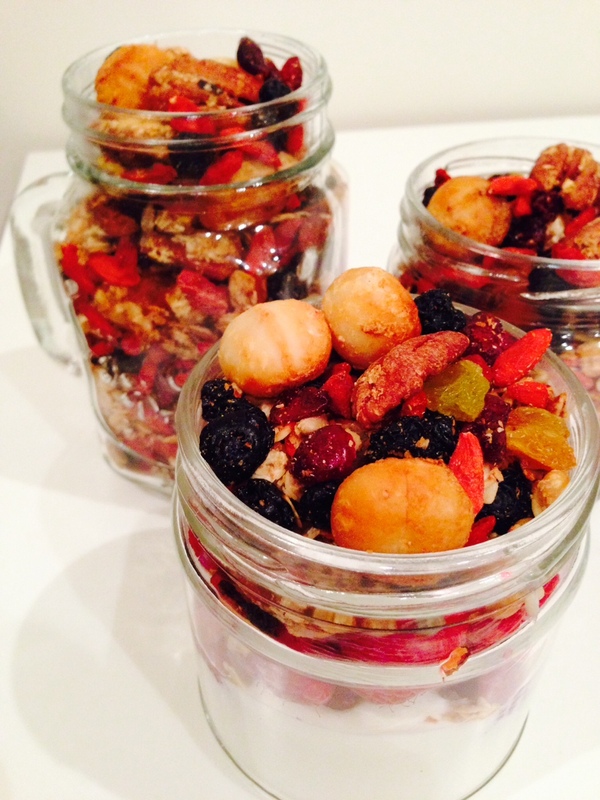 It’s golden, it’s crunchy, it’s a bit tangy and best of all it’s packed full of goji berry goodness! What I love about making granola is you can use absolutely ANYTHING you like. 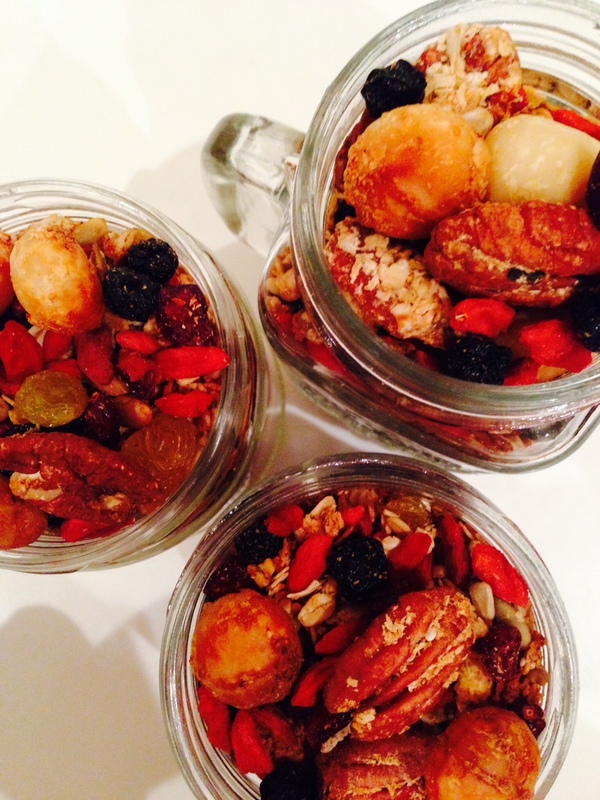 Whatever nuts, seeds and dried fruits take your fancy. 1. Preheat oven at 150 degrees celsius. 2. Combine all wet ingredients in a bowl and mix well. 3. Add the dry ingredients (except for dried fruit) to the wet ingredients and mix until sticky and clumpy. 4. Spread onto a baking tray and toast in the oven for 20-25 minutes. Stirring every 5 minutes. 5. When golden brown and toasty, take the granola out of the oven and mix in the dried fruit. This is gorgeous! Looks so yummy!